Collecting pieces of vintage china is fun. Sometimes you find just a few of series, but that should not deter imagination. Here lavender colored Limoge plates are mixed with a vintage American plate in turquoise whereas the vintage scalloped teacup is Spode and the leaf teacup is newer and unknown. Something like this maybe is in store for my Easter table. Here are some previous Easters. Around here trees are in bloom. This is a photo taken by my daughter a few days ago while we were out and about. Meanwhile at home, the garden smells amazing, because the citrus is in bloom. And over here, I am moving things around for spring freshness. I painted this about a pretty blush pink a year ago, and I've noticed lately that pink is a bit popular right now, but maybe because it is a perfect spring color. 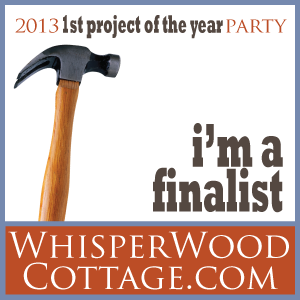 Later this week, I am hoping to start some projects, do some spring cleaning, and to color some eggs. 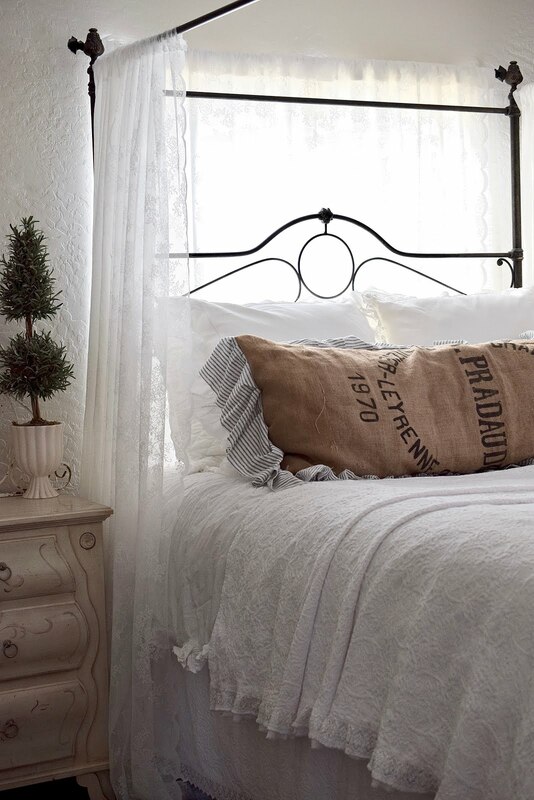 I loved how you combined the vintage and modern pieces. The scalloped shape teacup is really neat! Spring! How I wish it would arrive in our neck of the woods. Happy Easter! Oh, I love your vintage china so so much. Beautiful plate design. How can you not feel special eating from those. Just beautiful. I love the china, charming. Beautiful pics. Love your pretty plates. Happy Easter. I love it when folks collect various vintage china....it's so pretty, and it reminds me of Rachel Ashwell. Lovely photo of the blossoms. Your daughter has a good eye! I love the dishes and the bunny on the plate! Your plates are really lovely and especially with the bunny (cookies?) 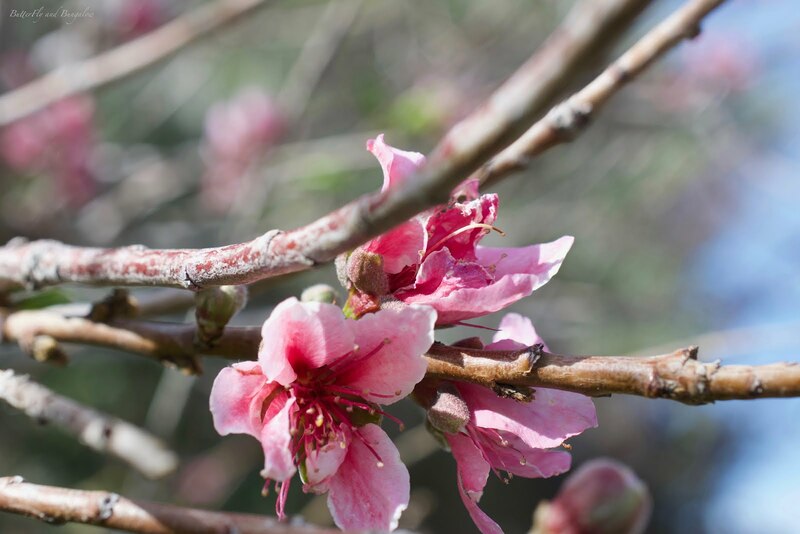 The blossoms are something we all need - bring it on - we are so ready for springtime. Thanks for sharing and linking! 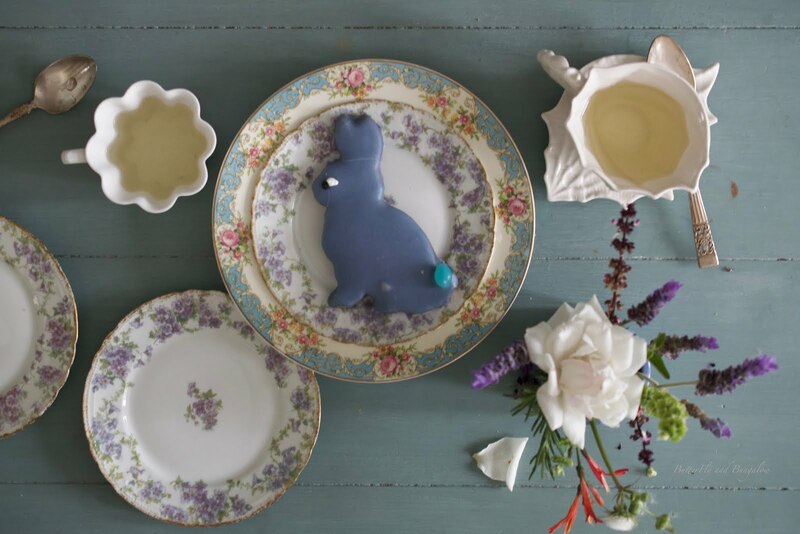 Your mixed vintage china is beautiful and seems perfect for an Easter table. Your lavender china is especially beautiful, and it tells a story, unlike new china that was actually made in China and came new out of a box to the table. Fun to imagine who used those plates and what food was eaten from them. That is what I love about vintage pieces. That darling sugar cookie has the ability to bring smiles to anyone who sees it. 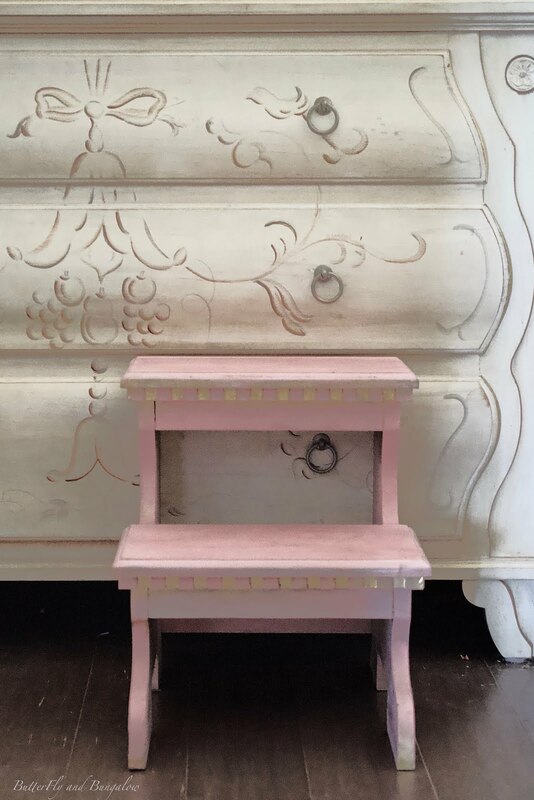 Your little pink step stool with the (yellow or cream?) accents is also sweet.